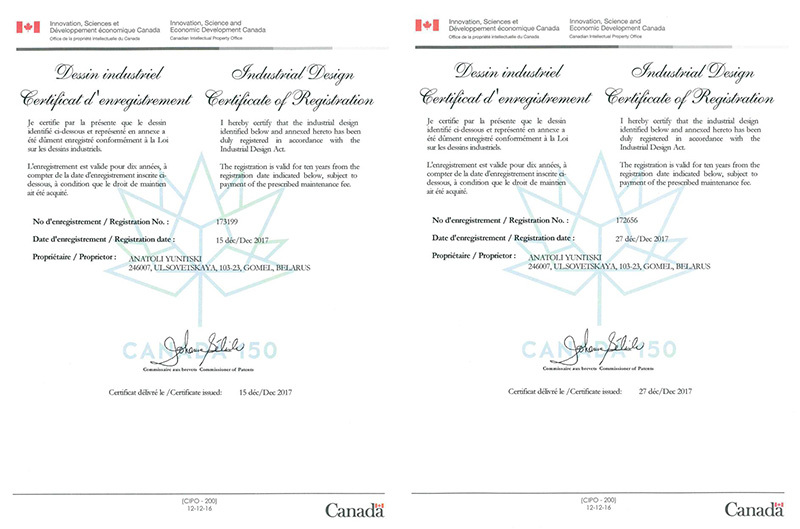 Canadian Intellectual Property Office has issued industrial design certificates of registration No. 173199 and No. 172656 for transport module to Anatoly Yunitskiy.